Hyperledger Cello is a blockchain provision and operation system, which helps manage blockchain networks in an efficient way. Cello is a blockchain module toolkit and one of the Hyperledger projects hosted by The Linux Foundation. Hyperledger Cello aims to bring the on-demand "as-a-service" deployment model to the blockchain ecosystem to reduce the effort required for creating, managing and terminating blockchains. It provides a multi-tenant chain service efficiently and automatically on top of various infrastructures, e.g. baremetal, virtual machine, and more container platforms. 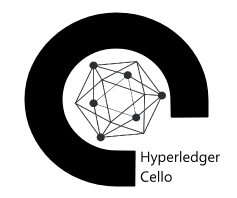 Hyperledger Cello was initially contributed by IBM, with sponsors from Soramitsu, Huawei and Intel. Support heterogeneous architecture, e.g., X86, POWER and Z, from bare-metal servers to virtual machines.